Chalet on small peaceful site with shared heated outdoor pool. Property 6: Chalet on small peaceful site with shared heated outdoor pool. Property 17: A Real 'home From Home' By The Sea. Airy and Convenient Christchurch Family Friendly Home. Property 29: Airy and Convenient Christchurch Family Friendly Home. Property 39: Walking distance to beach, close to town center. Parking. 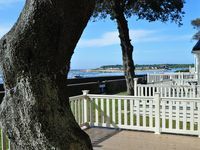 'the Chalet by the Sea , Under the Tree"
Property 40: 'the Chalet by the Sea , Under the Tree"
Family friendly 3-bedroom house. . Sleeps 5. Property 49: Family friendly 3-bedroom house. . Sleeps 5. Fabulous chalet in a fantastic position next to the sea. 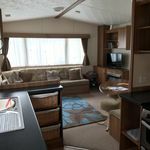 Everytingh very clean and all furniture,decoretc all of very high quality.also provided all cleaning products and toilet rolls, coffee tea etc.also some lovely touches making it feel like home.